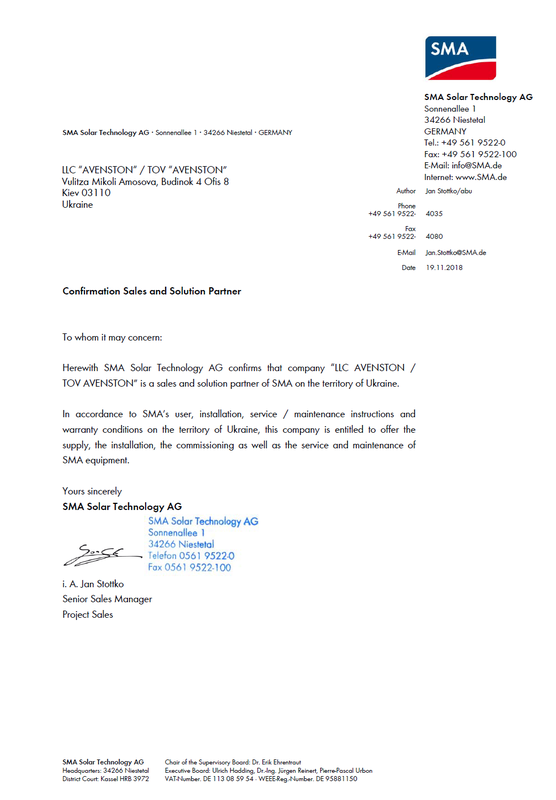 Our group has long-term and fruitful cooperation with SMA Solar Technology company. We use their equipment in many projects since 2012, so our employees received necessary education and training and also accumulated large practical experience of SMA invertors maintenance. Ordering our “turn-key” services, you can include the requirement to use equipment from this specific producer into project technical specifications and you will get the most detailed technical consultations about its usage. In addition you can simply purchase this equipment for your projects with us. We will offer a fair price to you, and also we will manage all issues related to logistics and customs clearance. SMA STP60 ongrid solar invertors are transformerless type invertors with a three-phase input, used for transformation of direct-current, produced by solar panels, into alternate current for consumer’s grid power feeding or electric power transmission to the general electric grid. 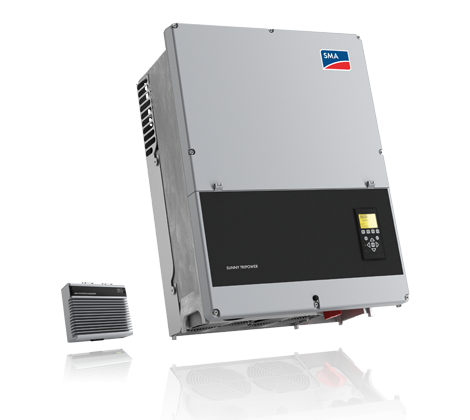 SUNNY TRIPOWER 60 on-grid invertors provide a high productivity combined with maximal flexibility of complex photo-electric system planning. Advantages of centralized invertor concept and de-centralized setting principle are structurally combined here. High-efficiency invertor with efficiency ratio up to 98%. The central controller of an SMA invertor can perform the role of central element and sole interface, providing collection and processing of actual information from 42 invertor (with maximal power up to 2,5 MW), and also complex management of solar power-station. Protective block construction maximally simplifies the installation process, providing reliable and long-lasting protection from unfavorable external factors. Minimum level of technical service. Simplicity of putting into an operation and low running expenses. The renewed design simplifies invertor installation. Protective device consist of incoming dis-connector switch, built-in excess voltage suppressor protecting from overload in direct and alternate current grid, network control module and ground short-circuit control. In addition, invertor is equipped by a device that controls current leakages in alternate and direct current chains. SUNNY TRIPOWER 60 grid invertors are high-grade and reliable solution for industrial and commercial power power-stations.